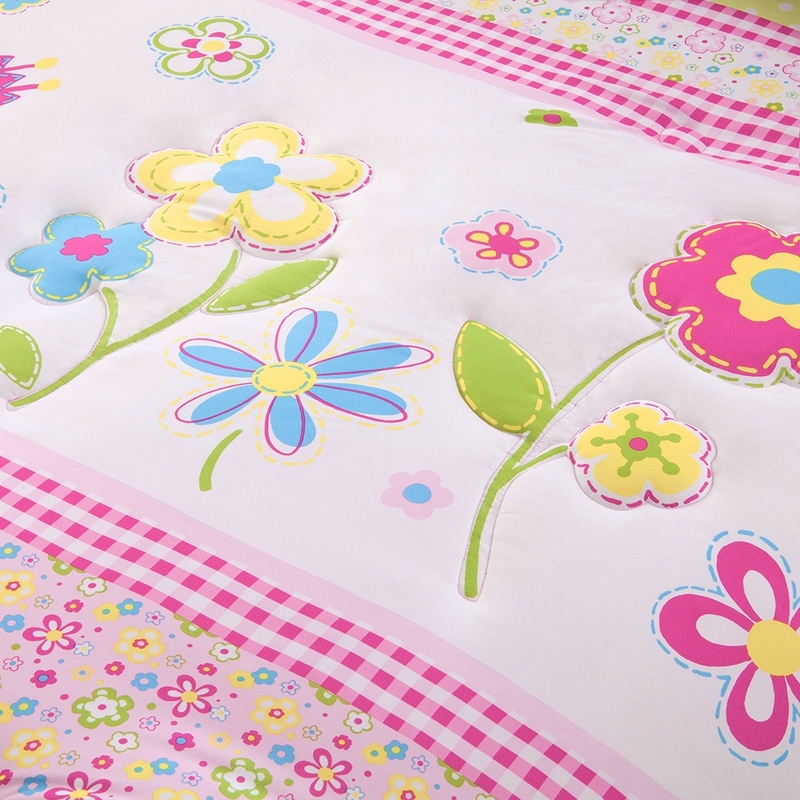 Spring Bloom is adorned with pink, green and blue flowers to complete a young girl�s blossoming bedroom. Colorful flowers and butterflies are outlined and quilted creating added dimension to this bright collection. A pink border frames the comforter and a pink and white gingham print covers the reverse. The matching shams have an adorable pink polka dot border. BONUS! 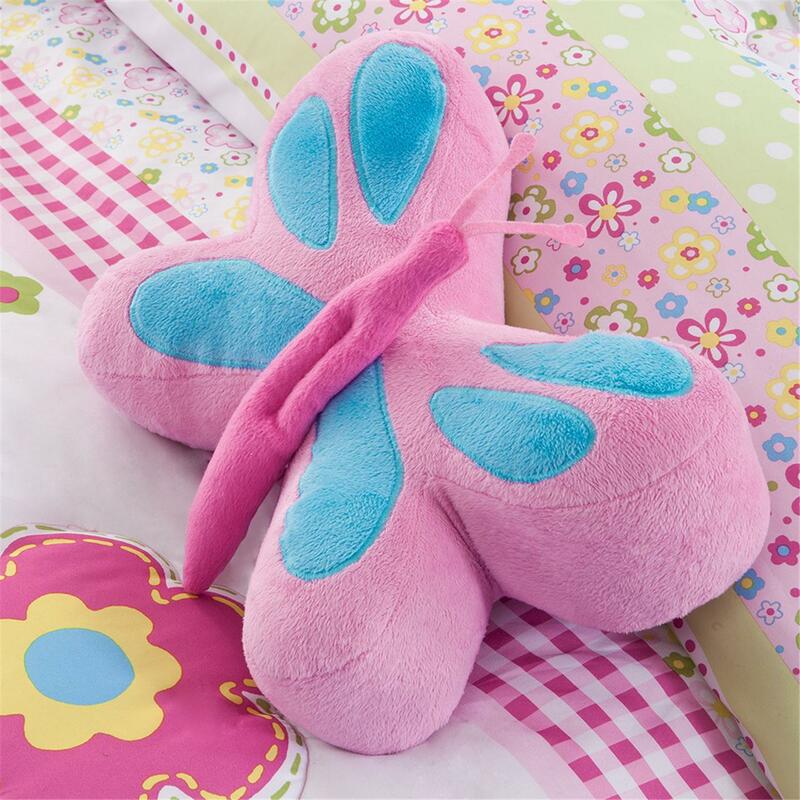 Plush butterfly accent pillow included.